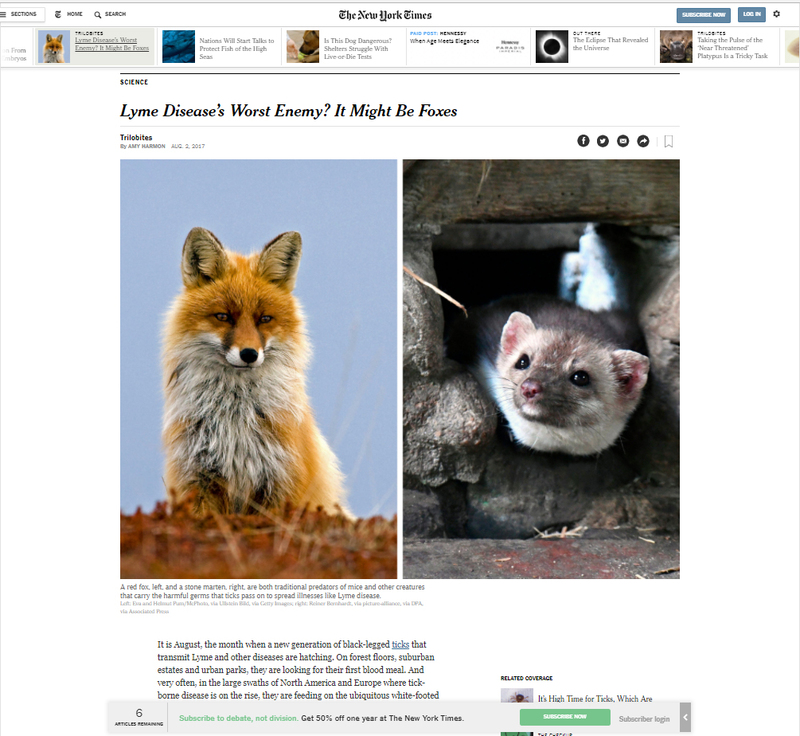 My study on the relationship between predators and tick-borne diseases was featured in the NY times (you can read the article by clicking on the image below). Posted on 03/08/2017 03/08/2017 Categories Media, NewsTags Fox, Media, News, NY times, Predators, Stone marten, Tick-borne diseasesLeave a comment on Research in NY times! I have been working on Mustelids for several years now, mainly focussing on the study of traffic victims collected by volunteers throughout the Netherlands. Since I started my PhD research, another aspect of Mustelids has caught my attention, and that is the ectoparasite burden of Mustelids, with of course ticks as a main interest. Although my sample size is still quite small, I can say that most Mustelids I have studied so far are parasitized by ticks. I have hardly found an individual without ticks! 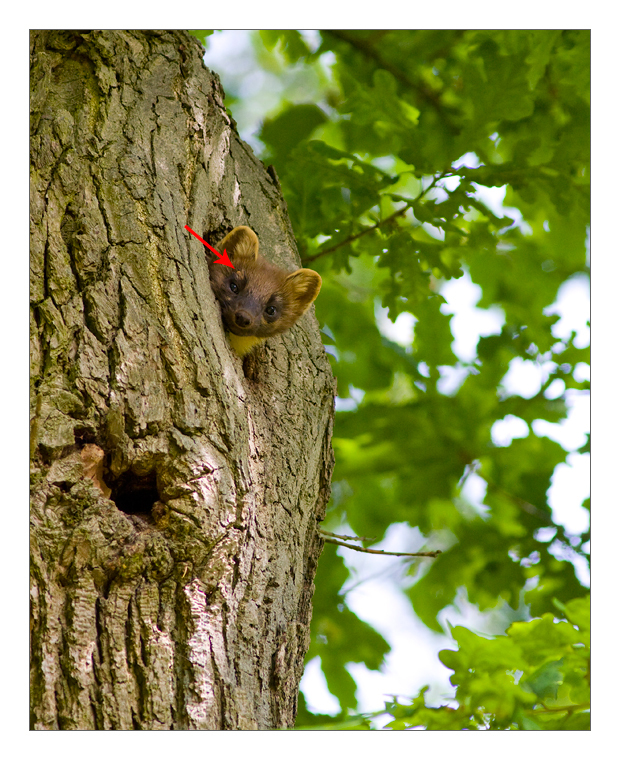 Even a picture I took several years ago of a female pine marten looking out of her denning tree includes a tick! 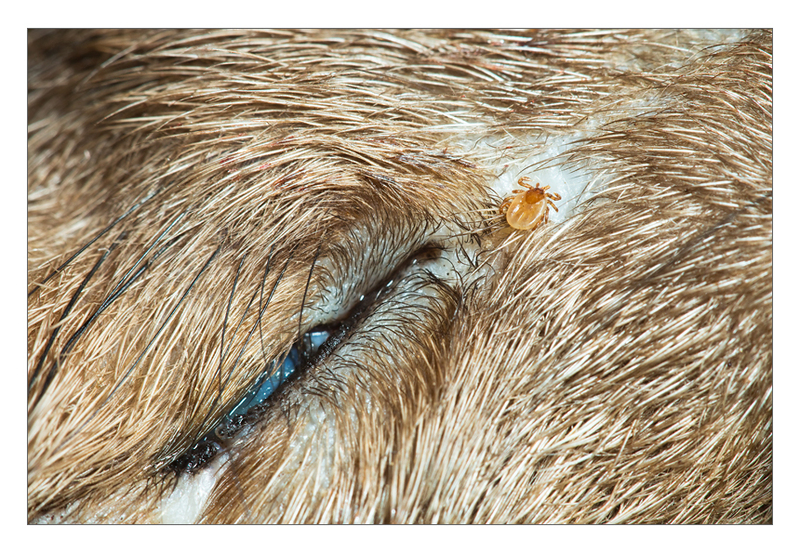 Most individuals however are parasitized by only a few ticks, of two species: Ixodes ricinus and Ixodes hexagonus. I found that badgers, pine martens and stone martens feed several ticks on average, with a nice distribution of both tick species. The few polecats I studied, however, were infested with many ticks (one individual carried more than 600 ticks! ), mainly Ixodes hexagonus. It seems that polecats are important hosts for this tick species, although very little is known about it (I have yet to find a published study on polecat tick burdens). Seems like there is enough to do in the coming year on this front! I will try to keep you updated.